It’s National Zoo Keeper Week and we’re sharing the love! To recognize the dedication and hard work of our amazing zookeepers, we are posting an interview of a keeper each day this week. 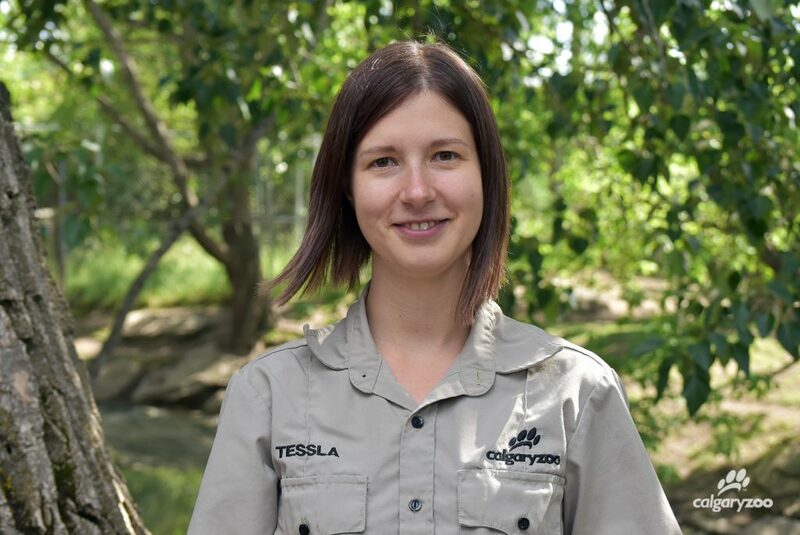 Lucky number five this #ZooKeeperWeek is Tessla Cummins, who received her Master’s degree for studying zoo animals (like the Przewalski’s horse)! Her passion for the species she works for is clear, especially when you ask her to tell her favourite stories from the job. A: “For me it was a rather complex journey. My ultimate goal was always to become a zookeeper; however I didn’t really think it would ever actually happen. I earned my Bachelor’s degree in Zoology and followed it with a Master’s studying zoo animals! This opened up a whole new world, as not only was I able to study Przewalski’s horses (a species that zoos saved) at the Toronto Zoo, I was able to collect behavioral data for the other graduate students. That exposed me to a wide variety of species and their caretakers. A: “My favourite animal so far has been Sabari, the greater one-horned rhinoceros that we had (he’s doing wonderfully in Ontario). Beyond him I don’t have an overwhelming favourite. I loved working with our Komodo dragons and seeing the changes in their personalities as they grew. The snow leopards can add a wonderful mixture of humility and humour to your day! Our cats will do what they want to do, when they want to do it, so when working with them it’s my responsibility to align our goals and desires so we work well together. It’s a fun challenge. Sometimes you just need to smile at the situation and go with the flow. 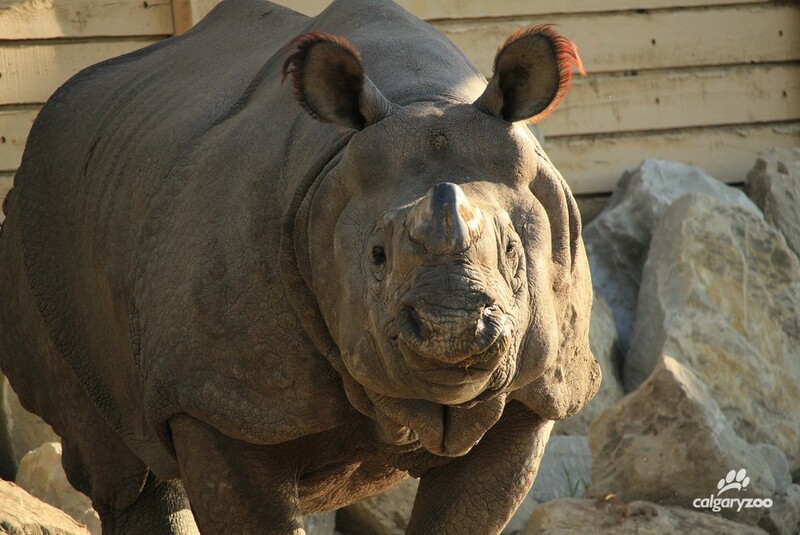 Sabari, the zoo’s one-horned rhinoceros. Sabari lived at the zoo for a few years starting in 2014. A: “It’s difficult to pick a single story. 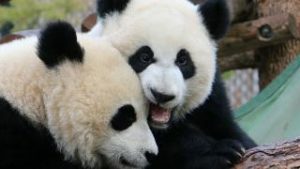 Some of my best memories are of a time when I can facilitate a connection between a guest and an animal; I believe that caring will lead to positive conservation activities and efforts. I find it absolutely incredible to work with people with fears and/or phobias. Sometimes I’ll interact with parents that have a snake phobia and they’re terrified of the snake in my hands. However, they don’t want to pass that fear to their children, so they will encourage them to come and visit the snake. I admire the courage of those parents as they do what they are capable of to inspire their children to gain knowledge and appreciation of an animal and break that cycle of fear. One event will stay with me forever. 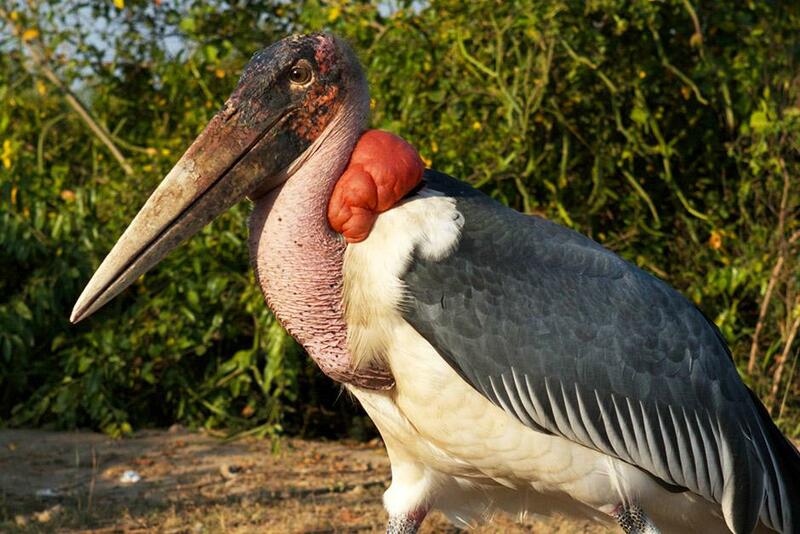 I spent many days doing data collection beside a male marabou stork in breeding condition. A fascinating species but perhaps not the most attractive bird in existence (during breeding season the males will develop a blue neck and a bloody scabbed head to impress the ladies). I listened to thousands of people talk about how disgusting and ugly the bird was. It was so very sad to see thousands of people so instantly repulsed by his looks that they didn’t bother to learn about the species and their role in their ecosystems. The support of our community makes possible our critical work protecting wildlife and wild places. Your trip to the Calgary Zoo helps us sustain wildlife and wild places. Visit today!